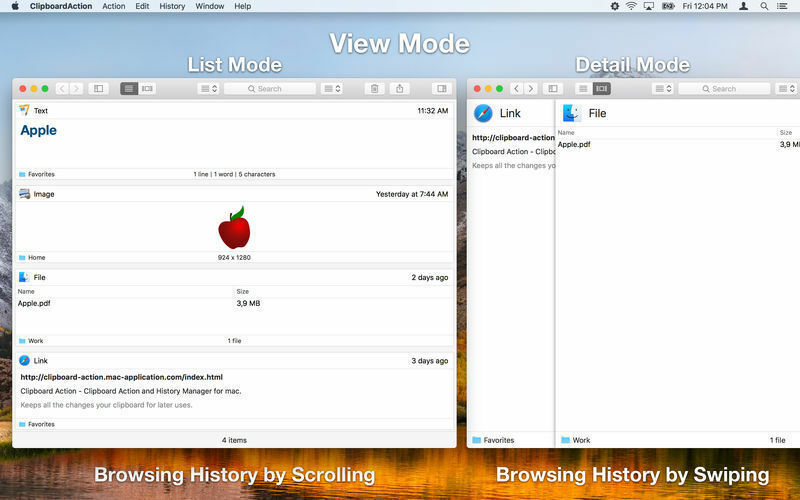 Is there a better alternative to Clipboard Action? Is Clipboard Action really the best app in Productivity category? 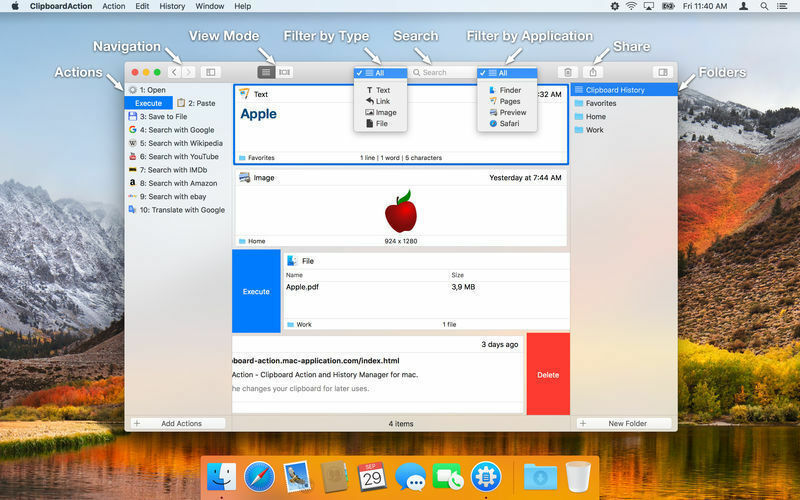 Will Clipboard Action work good on macOS 10.13.4? 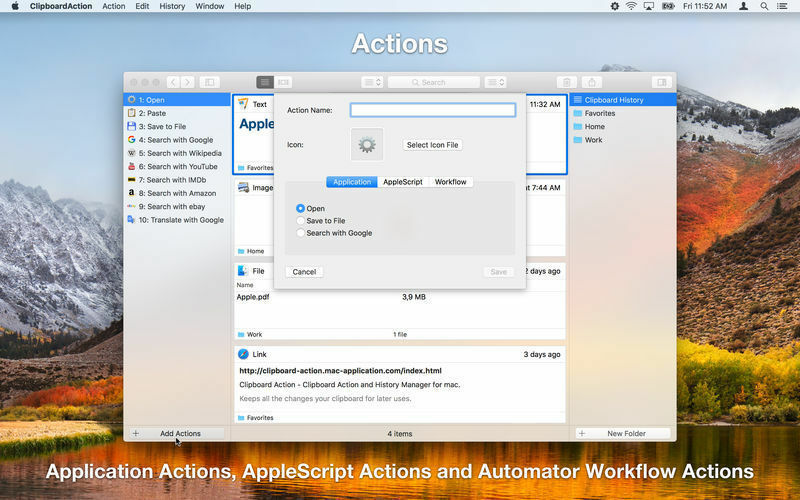 Clipboard Action is smart clipboard-history manager, which allows execute actions with every content in the clipboard history. 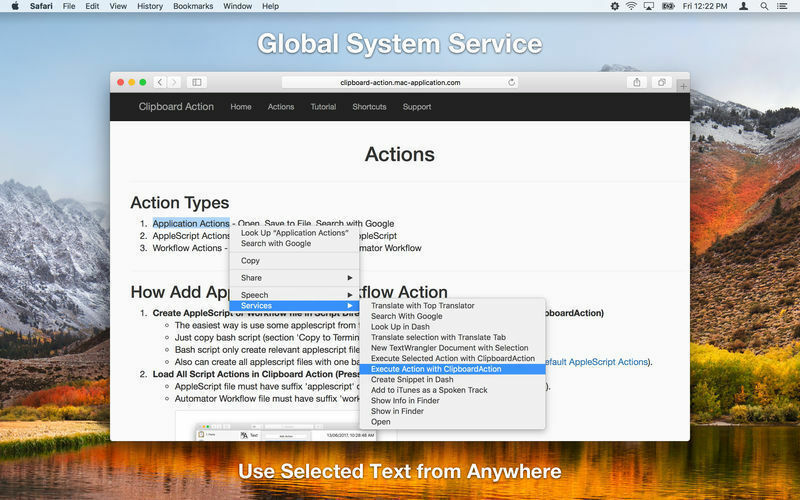 Define your custom actions using AppleScript or Automator Workflow or use a default application actions. Clipboard Action needs a review. Be the first to review this app and get the discussion started! Clipboard Action needs a rating. Be the first to rate this app and get the discussion started!